I’ve received literally thousands of emails from fans, some pointing out things they think I got wrong. What were the most called out? Humor. There’s probably more in just one of my books than the entire series combined—a fact that was first noticed by the amazing audiobook reader, George Guidall. This was largely unintentional on my part and I considered dialing it back, but then changed my mind. As time moves forward, I think it makes sense for me to allow some of my style to peek through. 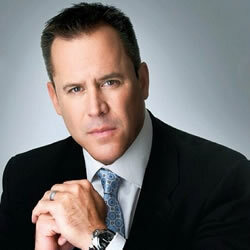 I worry that trying to write an endless stream of Vince Flynn forgeries would turn the series stale. I opened with action sequences. It’s interesting that Vince, one of the greatest action writers in history, never started his books that way. This change was intentional—something I thought fans would enjoy. Anna Reilly. Notice anything different? It always drove me nuts that Vince spelled her name Rielly. I always chalked it up to his dyslexia and snuck in a fix. I gave Mitch an opponent who is nearly his equal. The Russian Grisha Azarov is very different in personality than Rapp, but very similar in skill and ruthlessness. Having Mitch go up against an opponent who might actually get the better of him was something Vince had never fully explored. I thought it would be fun to put the character in that situation and see how he reacted! As time moves forward, my books and Vince’s will necessarily continue to diverge. To feel urgent and timely, thrillers have to track what’s happening in the world at that moment and what might be right around the corner. Instead of a ridged framework, I now have to look at past books in the series as a guideline. If Vince were here today, what would he think of the implosion of the Iran nuclear deal? The evolution of ISIS? Russia’s unconventional war on the West? And more important, how would he weave them into his next story? Older PostStepping Into The Shoes Of An Icon Part II: Who Is Mitch Rapp?